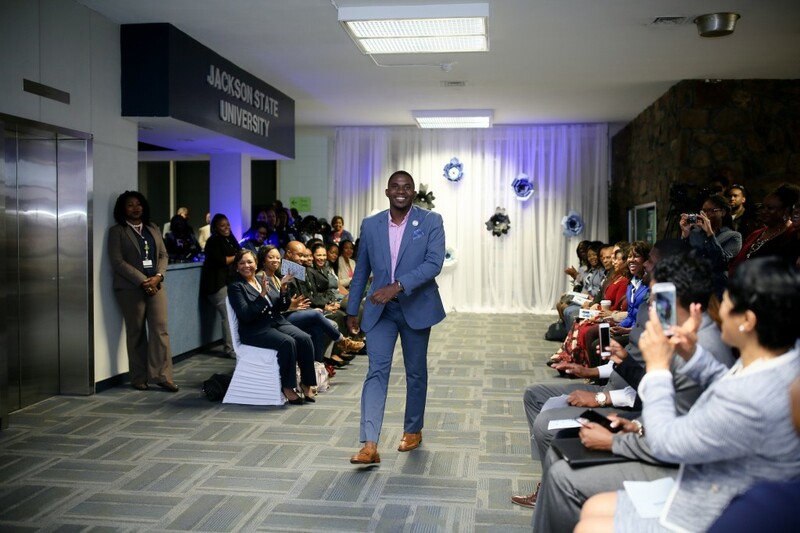 Students laced head to toe in 9 to 5 office garb ripped the runway inside of Jacob L. Reddix Hall during a fashion preview and ribbon-cutting ceremony Wednesday, Nov. 1, for the Tiger Career Closet – an initiative led by the first lady of JSU, Deborah Bynum. 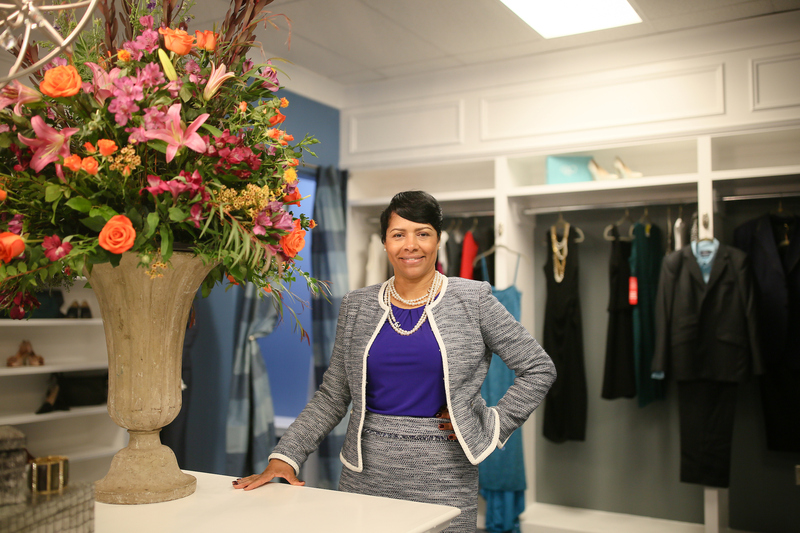 Intended to help currently enrolled JSU students in need of professional attire, the idea for the career closet stems from a conversation Deborah Bynum had with a close friend and fellow first lady years earlier. She would later launch a closet at Mississippi Valley State while her husband, Dr. William B. Bynum, Jr., was president. “Everyone came together for the good of the initiative and the good of the students,” said Deborah Bynum as she greeted guests. The ribbon-cutting event was brought to life as members of the university’s Insatiable Modeling Squad and Blue Ambassadors organization showcased outfits available in the career closet. 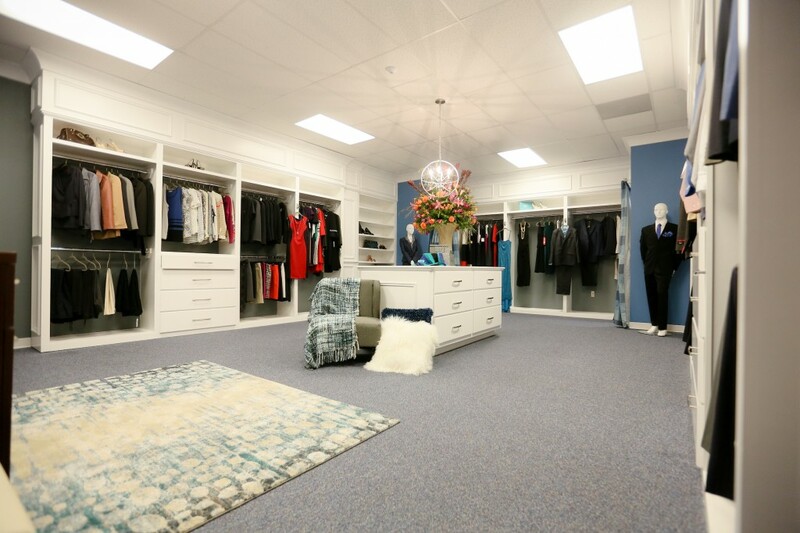 From dresses and suits to shoes and accessories the closet appears to have it all. At the end of the fashion preview, the first lady appeased attendees by also taking a turn down the catwalk to the beat of thunderous applause. 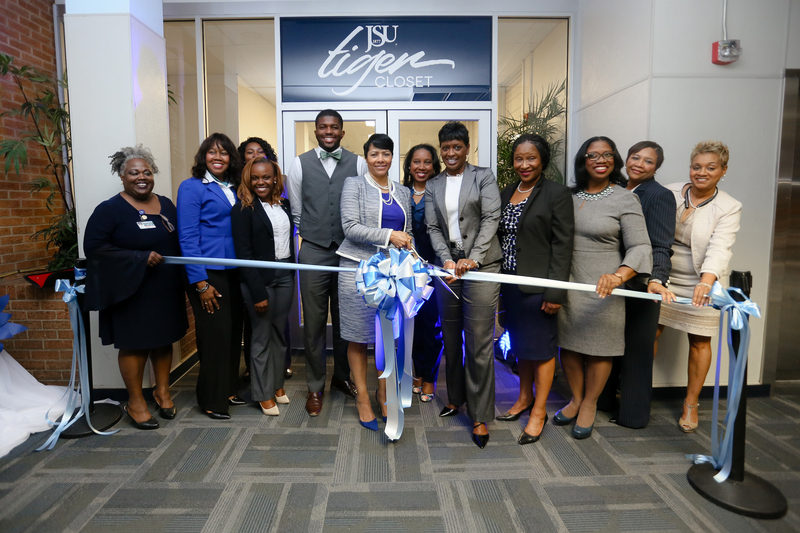 She then gave remarks and expressed how much the look of the Tiger Career Closet exceeded her expectations. Forged by members of Jackson State’s Department of Facilities and Construction Management, the career closet looks as if it could be straight out of the pages of a Vogue magazine. With walls painted JSU blue, grey and white, it boasts two full dressing rooms, several built-in dressers, an island and multiple levels of shelving. A modern lighting fixture is one of many embellishments that help to balance out the closet’s chic sophistication. 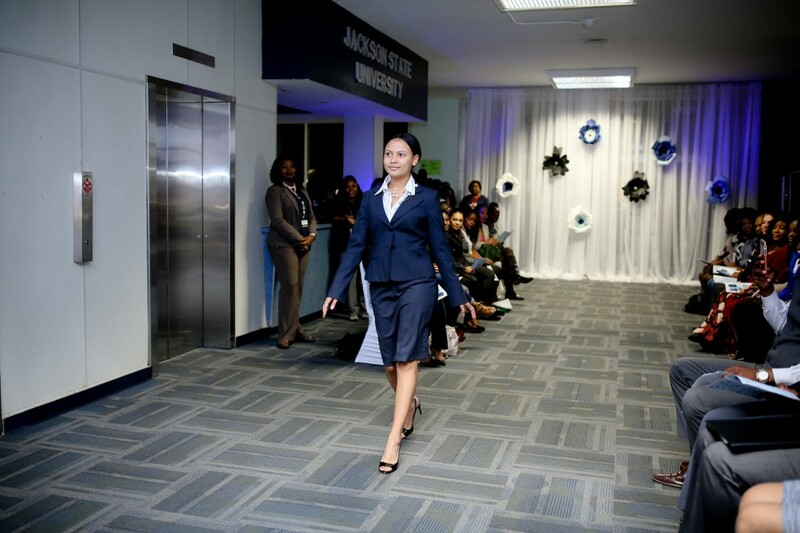 The first lady also said that she truly believes in the power of first impressions and plans for the career closet to help Jackson State students positively represent themselves and their institution from now and years to come. “The career closet is free for students because I hope that one day they will pay it forward just like someone paid it forward for them,” Deborah Bynum stated. When asked which outfit in the career closet was the most professional for an interview, she immediately went to a mannequin adorned in a black, two-piece women’s suit. She referred to the suit as classy as she admired the long sleeve multi-buttoned blazer, knee length skirt and pearl necklace. Associate Vice President of Student Affairs Dr. Susan Powell also worked steadily with the first lady and members of the Tiger Career Closet committee to garner donations and sponsorships. Students can receive one free professional outfit per academic year by scheduling an appointment at http://www.jsums.edu/tigercareercloset/policies/. Following the scheduling of an appointment, students must be punctual, be willing to try on various pieces and be open to receive guidance and tips on professional fashion.